A flexible, clean, simple responsive WordPress theme, perfect for any news or online magazine website. 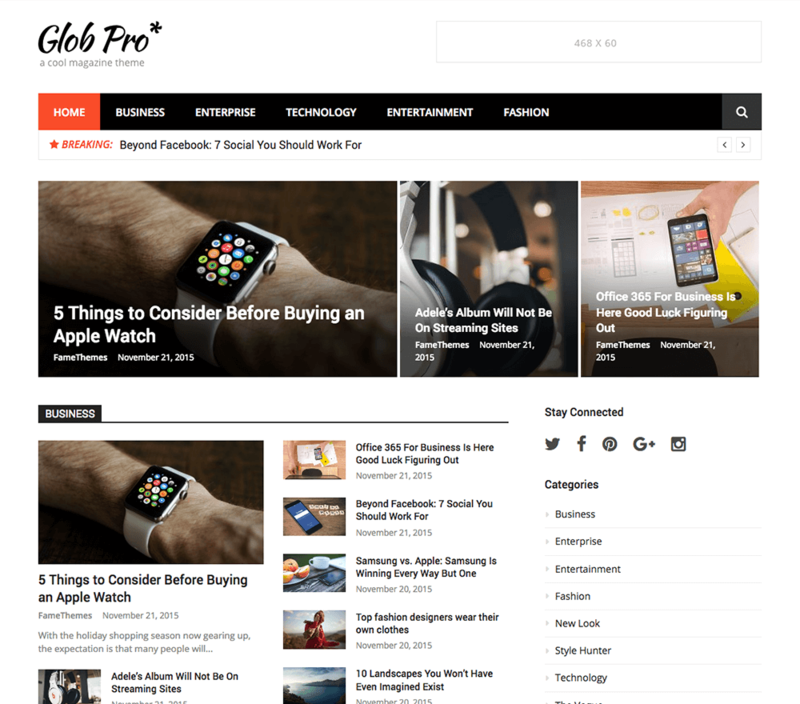 Glob is the perfect combination of power and simplicity in a WordPress News & Magazine theme. 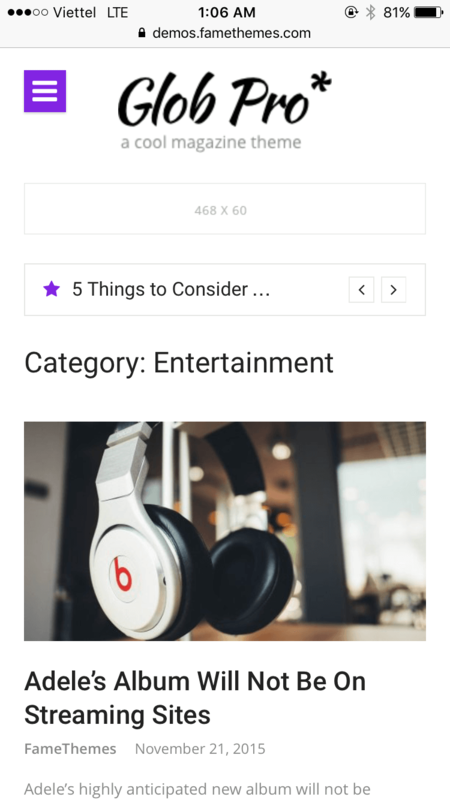 Glob does not require any coding knowledge and gives you the options and flexibility to put together the ultimate news site, but in a simple, straightforward way that doesn’t overwhelm you. Glob adjusts its layout based on the device it is being viewed on. This means the theme’s content will be easy to read and easy to navigate whether it is being viewed on a desktop computer, a tablet or a mobile device. You can easy set the different color for each menu item of Primary Menu. And all element's color will be changed follow current menu color. The Glob comes with 4 footer widget areas, which help you bring more information for your footer area. Did you know there is a FREE version of Glob Pro?